Wondering how to get an overtired baby to sleep? Discover what to do when your baby won’t sleep or keeps waking up, and how to prevent being overtired to begin with. As a first-time mom, I figured babies would eventually fall asleep asleep when they got tired enough. That an internal clock I assumed they came equipped with would automatically help them fall and stay asleep as needed. But as many moms who’ve dealt with an overtired baby can understand, that’s not exactly the case. It turns out, babies still rely on us to help them sleep, avoid over-stimulation, and even keep track of time for them to sleep so they don’t get too tired. Because the problem with being too tired is that, ironically, your baby will likely fight the sleep she needs. 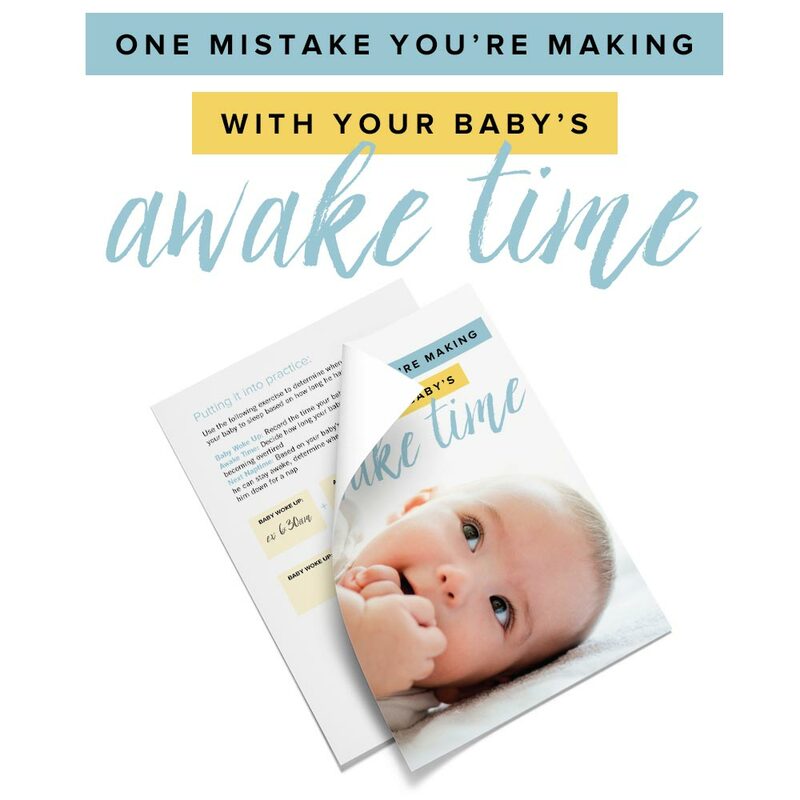 You’d think that not having slept enough would be reason enough to conk right out, but often, that’s just not the case with a tired baby… so much so that everything you may have tried to get your baby to sleep hasn’t worked at all. Rest assured friend, you’re not alone. 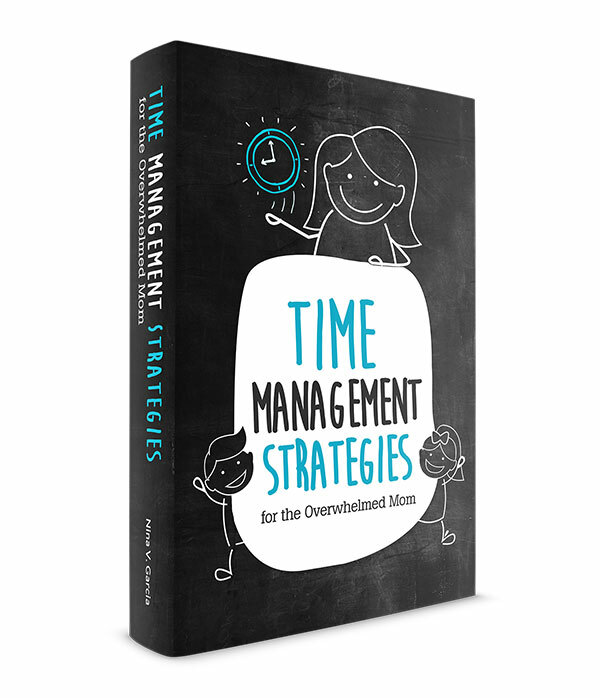 In fact, I’ll share with you the tips I learned and applied that finally helped my overtired baby to sleep. But before I do, I’m going to ask you to change your mindset a bit. You see, rather than trying to fix the issue with your baby, I want you to start by looking first at yourself. Your attitude is everything. Has someone ever told you that babies can feel how you feel, whether you’re calm or stressed? As much as we focus on the baby, often no solution will work if we’re not in the right mindset first. So, what are a few key mindset shifts you need to make? Provide compassion and empathy. Don’t think of your baby’s fussiness as yet another hassle to deal with that’s keeping you sleep-deprived. Instead, show her that you can see why she’s overtired. Maybe she had a long day, is going through developmental milestones, or skipped a nap. Truly show empathy for what she must be going through, and comfort her through her fussiness. Show compassion, and trust me, your baby will feel it. Be the calm source your baby needs. Have you ever tried falling asleep with someone frowning above you, upset that you haven’t fallen asleep yet? It’s not exactly easy for your baby to calm down and sleep when you’re not calm yourself. Don’t let things ruffle you so much that it affects your baby as well. Focus on what you want, not on what you don’t want. Dwell on how your newborn keeps fighting sleep, or that she hasn’t napped in forever, and the more of that you’ll see. Instead, change your mindset to what you want, imagining that it already is happening: “My baby sleeps well.” Say this often enough and you’ll be more likely to spot the times when she does, than harping on the times she doesn’t. Be open to actually finding a solution. You may be looking for tips on how to get an overtired baby to sleep, but if deep inside you feel like nothing has worked or ever will, then truly nothing will. Instead, actually be open to finding a solution, trying new things or even revisiting old techniques you once declared useless. By being open to possibility, you’re more likely to find a solution than if you’re close-minded. A common reason for babies to be tired is that they’re out and about, away from their usual sleep environments. Many parents compensate by timing naps to when they’re driving or out for a stroll. But unfortunately, babies don’t always sleep deeply in those situations. The result? A cranky, tired baby, even though she “technically” napped. Instead, figure out when your baby usually takes her longest nap. Is it the first one after waking up for the day, or perhaps the afternoon one after a fun outing? Then, decide to stay home for that nap. Keep things subdued and routine, so that your baby has a chance to sleep long and deeply at home, rather than in the car or stroller. Learn what to do when your 3 month old won’t nap. 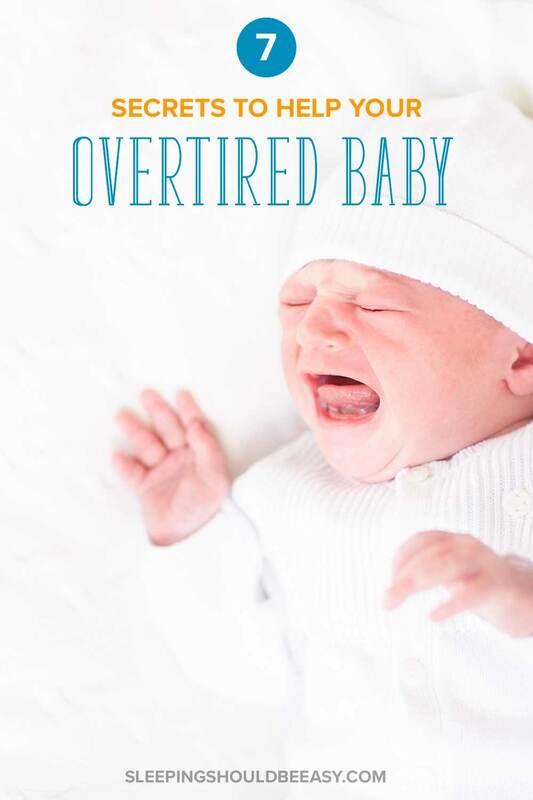 An overtired baby is likely so because of a lack of routine. You see, a routine helps your baby expect what comes next. She’s more open to sleeping when it always happens after the same activities or flow to her day. Routines also provide a consistent, repetitive flow to your day that allows you to remember what to do next, sometimes automatically. When you know that the baby sleeps after a set amount of awake time, then you’re more likely to be consistent with putting her down to nap. In fact, I learned that babies need to sleep after a set amount of time, and that many of the sleep cues I was on the lookout for actually signaled that my baby was already overtired. Keeping awake times to a minimum drastically improved nap times for my overtired baby. So far we’ve talked about what to do to prevent it from happening, but what do you do if your baby is already overtired? Swaddle. For the first few months, newborns benefit from sleeping in a swaddle, especially after having lived in your womb before coming into this world. The tight, snug comfort of a swaddle can calm an overtired baby right away. This is the swaddle I used and loved. Rock (slightly) in your arms. I’m not a fan of rocking the baby too often or too much, as I’ve found that you’ll have to rock even longer and harder as time goes on. But rocking her a little bit can calm her down, at which point you can put her down to sleep drowsy but awake. Walk your baby around the house. A variation of rocking, you can also hold your baby in your arms and walk her slowly around the house. Stick to low-stimulating rooms, and don’t feel the need to talk too much (simple comforting words and sounds will do). Swing. The baby swing is a sanity-saver and has helped calm my babies down and even put them to sleep. Perfect for the overtired baby who may just need steady, rhythmic movement to calm down. This was the swing I used. Baby wrap. The newborn days especially are prime time for the baby wrap. It offers a calming effect on your overtired baby by keeping him close to you, while still freeing your arms to do other things. It’s no wonder this method has been used forever—it works. This is the baby wrap I used. Once my kids grew to become toddlers, I relied on snacks to keep them well-sustained in between meals and when we were out and about. I didn’t realize just how useful snacks can be to prevent sour moods or hungry tummies. Well, the same can be said for babies and milk. In the beginning, I resented anyone who suggested I should just nurse the baby when he’d cry, especially since I was the only one who could. But over time, I realized that babies cry to be fed for a reason—they want milk! You might think, But my baby is tired, not hungry. True enough, but have you ever felt extra cranky and tired when you were hungry? When basic needs aren’t met, we’re more likely to be cranky and tired than if we were fed and well-rested. If anything, feeding your baby provides a chance for her to calm down, since sucking is a soothing motion for her. Don’t want to actually give her milk? Use a pacifier instead, which can have the same, soothing effect as feeding, especially if she’s not truly hungry. An overtired baby can struggle with going to sleep when her sleep environment isn’t exactly conducive to rest and relax. An easy fix? Keep her room dark and serene. Get darkening curtains (we got these) to block sunlight that would normally stream inside. Turn off the television or other flashing lights that could interrupt her sleep. And don’t feel the need to keep eye contact, as that might encourage her to focus and pay attention to you. Instead, keep her visual environment dark and calm, so that she can quiet her mind and ease into sleep. Shushing sounds, whether a white noise machine, an app, or even a fan or heater, can calm your overtired baby instantly. After having grown accustomed to the white noise in your womb, it’s no wonder babies calm down when they hear the familiar sound. Besides the continuous sounds of white noise, your baby can also feel comforted with your own soothing sounds. Maybe that means you shush into your baby’s ears as you hold her in your arms or offer soothing words of comfort. She may not understand what you’re literally saying, but she knows through tone of voice, body language, and facial expression that you’re here to comfort her. Many babies find baths soothing and calming, and if yours is one of them, this might be a good time to give her one. Often, parents think their babies don’t like baths because they cry each time, but sometimes it’s the environment itself that could be preventing the baby from enjoying the experience. To make bath time relaxing, turn the lights off or low so she’s not looking directly into the lights above. Turn off any loud vents in the bathroom that aren’t soothing to hear. And keep the water warm and soothing, all while caressing her body to let her know she’s safe. Struggling with how to get an overtired baby to sleep is common among many parents, but not impossible to solve. Break the cycle of an overtired baby by making sure you’re home for her longest naps, and relying on routines to make the days predictable for the both of you. If she’s already fussy from being overtired, comfort her physically through swaddling, baby wraps, or using a swing. Feed her or use a pacifier so she can soothe herself through the sucking motion. Keep her sleep environment dark and serene, and use white noise or other soothing sounds to calm her down. A bath can also help her relax, especially when you’re careful to make the environment soothing as well. Shift your mindset so you’re open to the possibility of these tips working. Focus on what you want to see happen rather than what you don’t. Most important, watch how you feel, because it’s your calm, compassionate comfort that will do so much more to soothe her than any pacifier or swing can. Did you like this article about how to get an overtired baby to sleep? Save it on Pinterest! Hi Nina my name is Lexy and I have a daughter that is 1 month old and she just couldnt sleep during her naps. I knew she was overtired from not being able to go to sleep. So I tried your method by clearing my mind and thinking positive which helped me a lot and also my baby by keeping myself calm and her.I tried comforting her physicaly by putting her on my chest and talking to her soothingly which finally she slept which was very amazing just want to say thank you for the tips!!! Yay, so glad to hear that, Lexi! I love hearing success stories like yours—these little wins can mean so much. Thanks for letting me know—I really appreciate it!